INDIANAPOLIS, IND (July 17, 2018) Klipsch®, a tech-driven audio company, is pleased to introduce the new Heritage Theater Bar, a customizable, high-performance, three-channel sound bar upgrade solution. 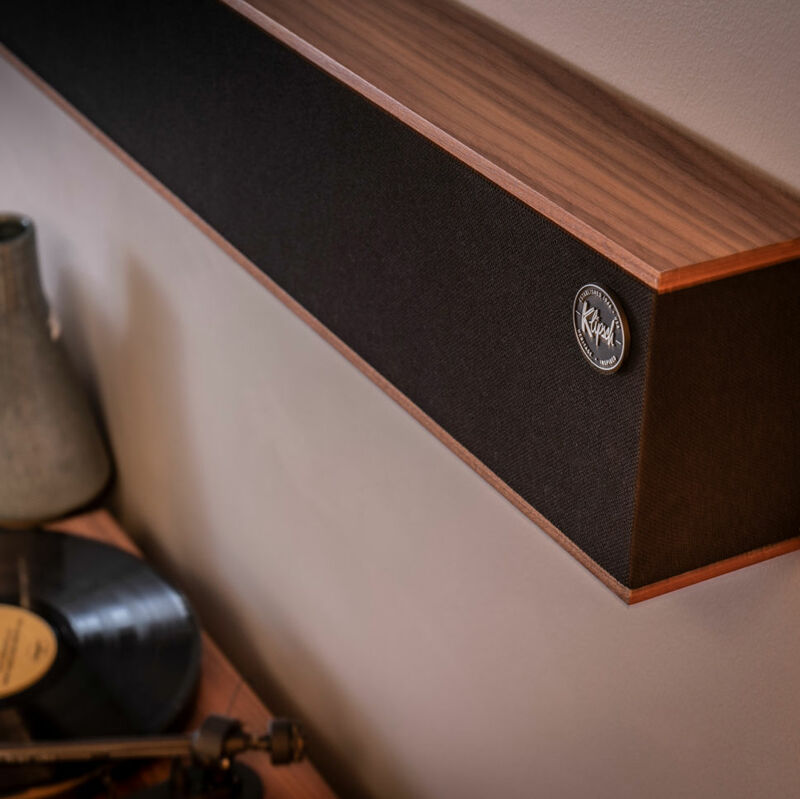 The Heritage Theater BarTM blends the acoustics and classic, nostalgic design legacy of company founder Paul W. Klipsch with premium materials and the latest technologies available today. The highly-efficient passive left, center, right (LCR) Klipsch Heritage Theater Bar is a combination of sonic performance and architectural elegance. It features exclusive Tractrix® horn technology and titanium tweeters for impressive high-end response and greater extension, while also enhancing imaging and dynamics for clean, natural sound. The Heritage Theater bar is customizable in width, finish, and grill options. Widths range from 49.5” to 80” to perfectly match most flat panel televisions. Four furniture-grade wood veneer finishes are available, as well as raw and primed for paint versions, plus a choice of four removable grille cloth options to complement any room décor. The Heritage Theater Bar also features a low-profile, built-in wall mounting system that is only ¼” deep. A centralized input panel for all three channels is accessible from the front for ease in installation and set-up. Each Heritage Theater Bar is designed and handcrafted in the USA, using domestic and imported components. Standard Heritage Theater Bars are also available to match the width of most 55” televisions. They are 49.5” wide with an American Walnut or Satin Black Ash wood veneer finish and a black knit grille cloth. Klipsch Theater Bars are available now at certified Klipsch Heritage retailers and integrators, and at Klipsch.com. For more information on the Klipsch Theater Bar, visit Klipsch.com.